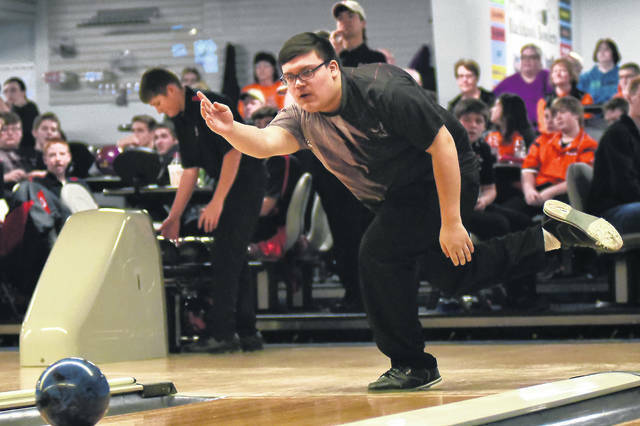 Mississinawa Valley’s Roman Dircksen competes in a match against Russia on Saturday at Woodcrest Lanes in Union City. 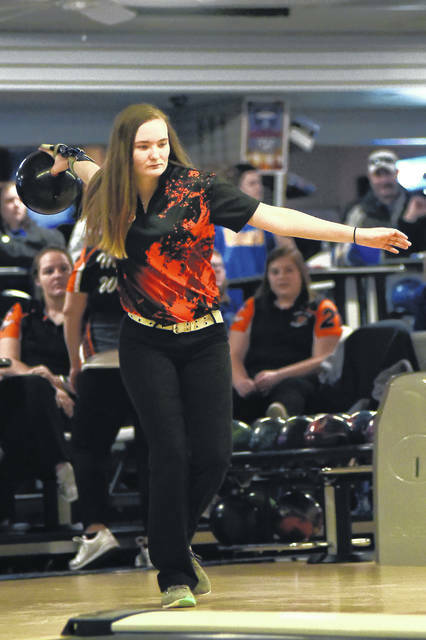 Versailles’ Morgan Heitkamp competes in a match against Fort Loramie on Saturday at Woodcrest Lanes in Union City. 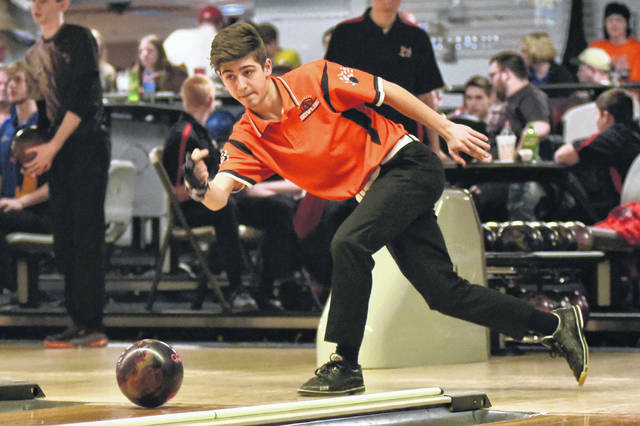 Versailles’ Tyler Gehret competes in a match against Fort Loramie on Saturday at Woodcrest Lanes in Union City. 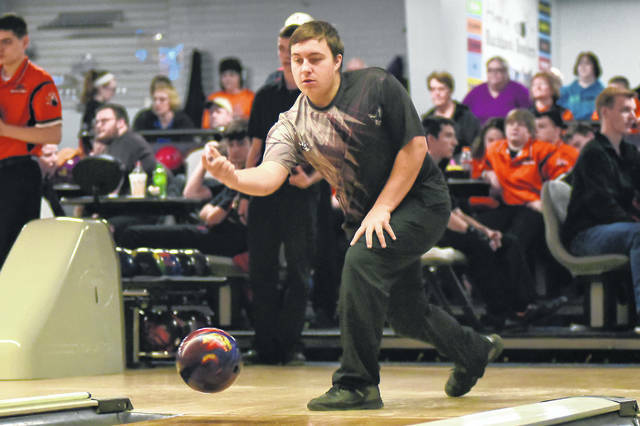 Mississinawa Valley’s Anthony Reno competes in a match against Russia on Saturday at Woodcrest Lanes in Union City. 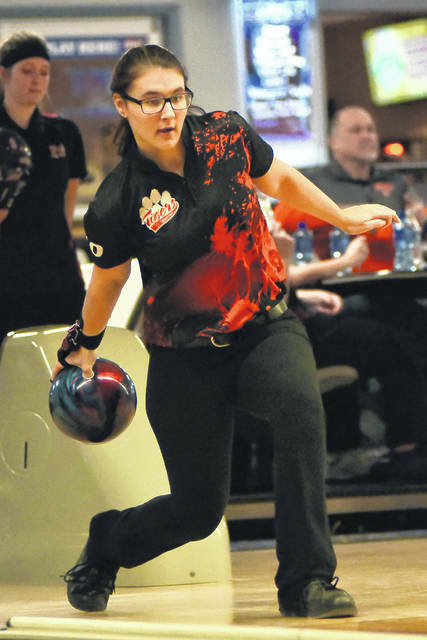 Mississinawa Valley’s Bailey Emrick competes in a match against Russia on Saturday at Woodcrest Lanes in Union City. 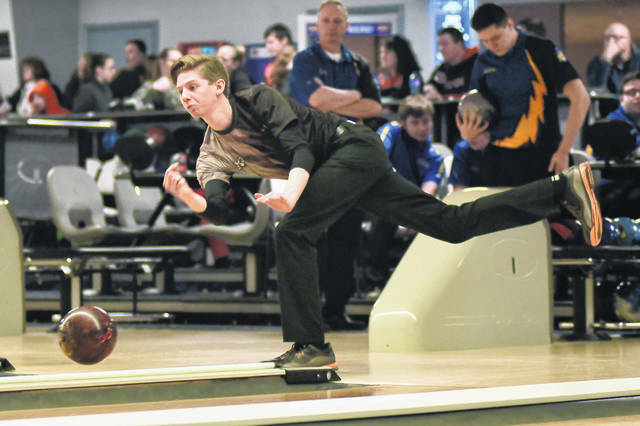 Mississinawa Valley’s Cameron Shimp competes in a match against Russia on Saturday at Woodcrest Lanes in Union City. 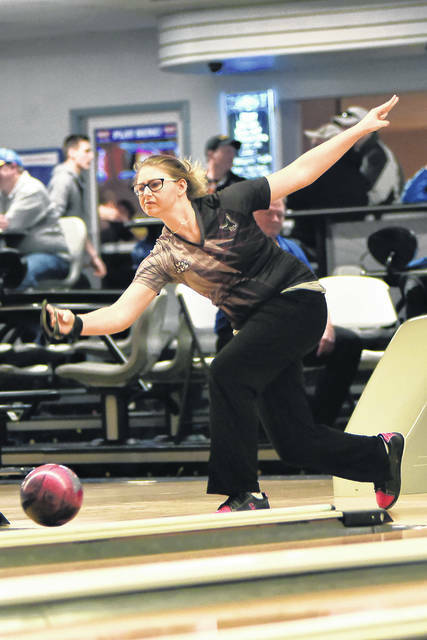 Mississinawa Valley’s December Wright competes in a match against Russia on Saturday at Woodcrest Lanes in Union City. 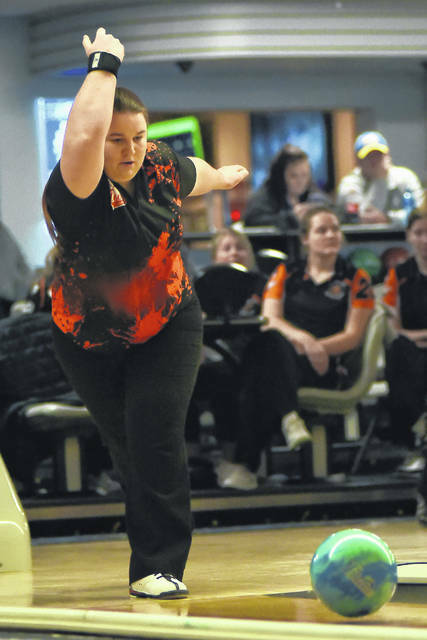 Versailles’ Haddi Treon competes in a match against Fort Loramie on Saturday at Woodcrest Lanes in Union City. 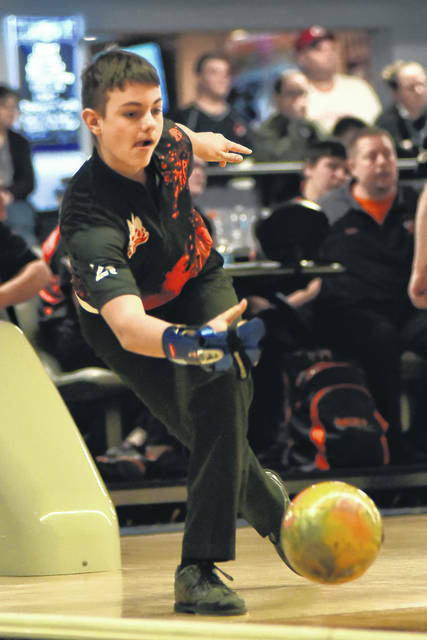 Mississinawa Valley’s Hagan Beam competes in a match against Russia on Saturday at Woodcrest Lanes in Union City. Versailles’ Jayden Mumaw competes in a match against Fort Loramie on Saturday at Woodcrest Lanes in Union City. 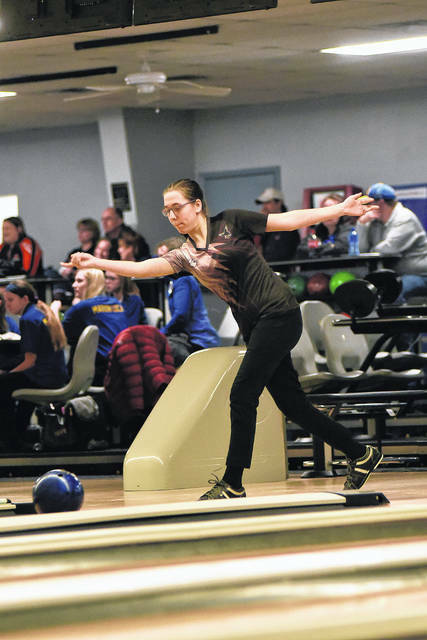 Versailles’ Jena Mangen competes in a match against Fort Loramie on Saturday at Woodcrest Lanes in Union City. 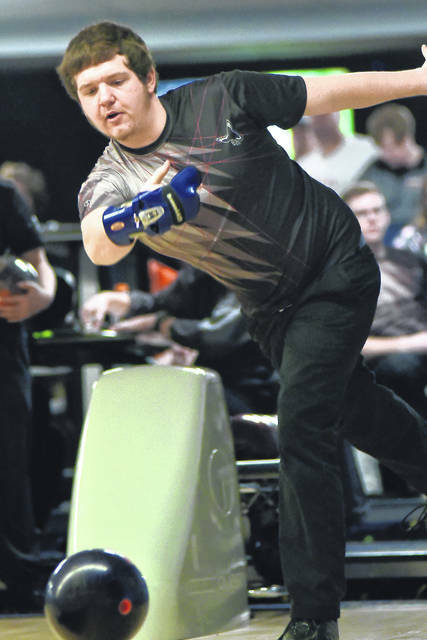 Mississinawa Valley’s Jerrod Teagarden competes in a match against Russia on Saturday at Woodcrest Lanes in Union City. 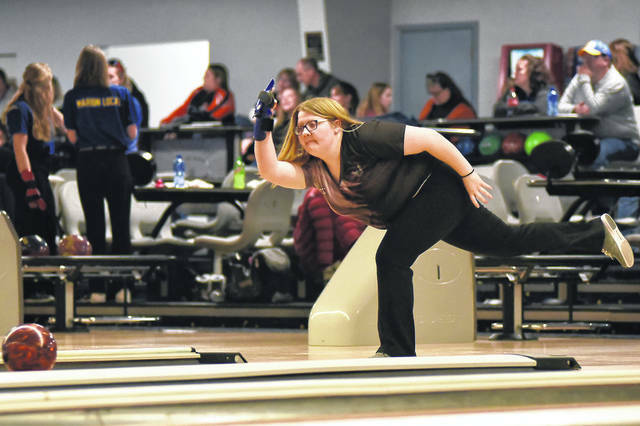 Mississinawa Valley’s Karista Davidson competes in a match against Russia on Saturday at Woodcrest Lanes in Union City. Mississinawa Valley’s LaKiesha Wade competes in a match against Russia on Saturday at Woodcrest Lanes in Union City. 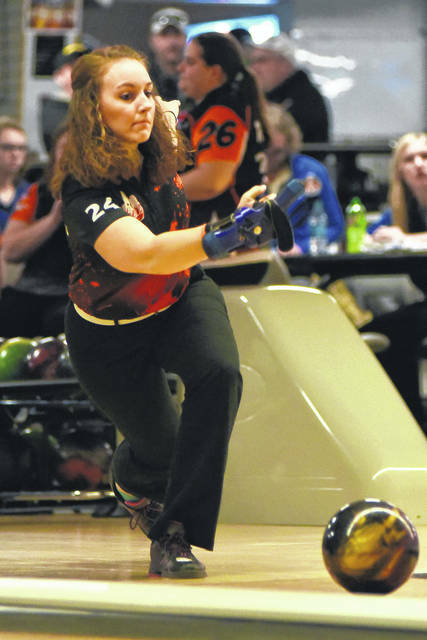 Versailles’ Lindsay Cheadle competes in a match against Fort Loramie on Saturday at Woodcrest Lanes in Union City. 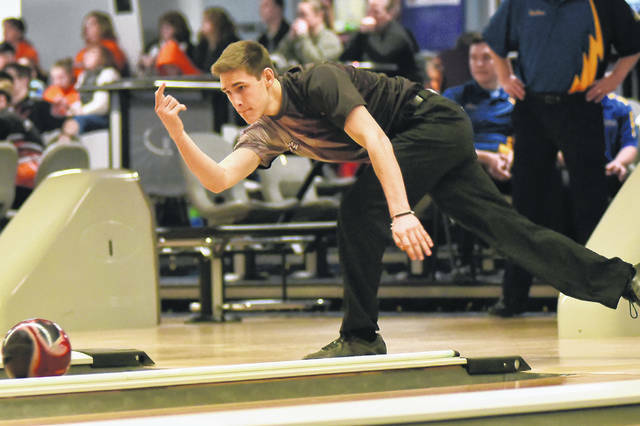 Mississinawa Valley’s Luke Livingston competes in a match against Russia on Saturday at Woodcrest Lanes in Union City. 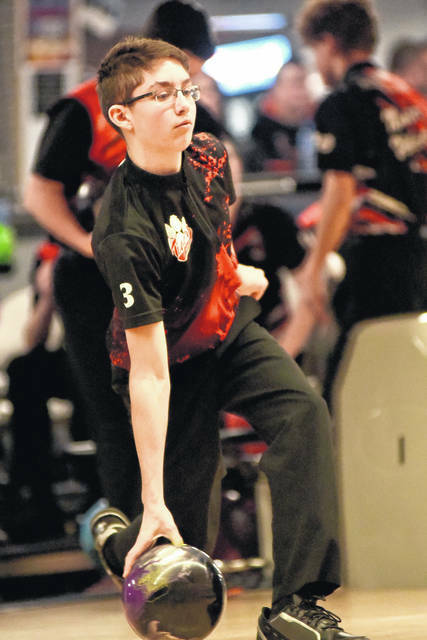 Mississinawa Valley’s Mason Hardwick competes in a match against Russia on Saturday at Woodcrest Lanes in Union City. 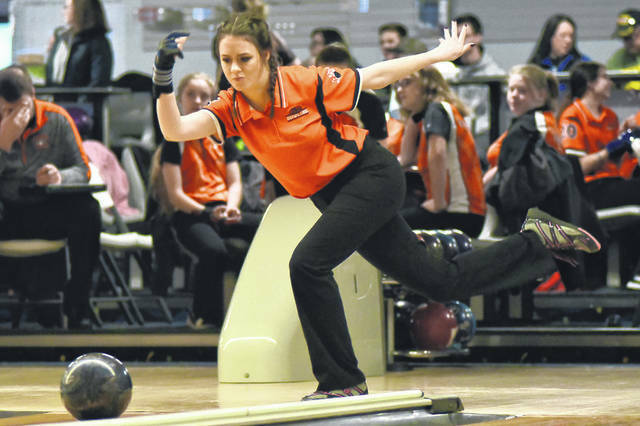 Versailles’ Morgan Barlage competes in a match against Fort Loramie on Saturday at Woodcrest Lanes in Union City. 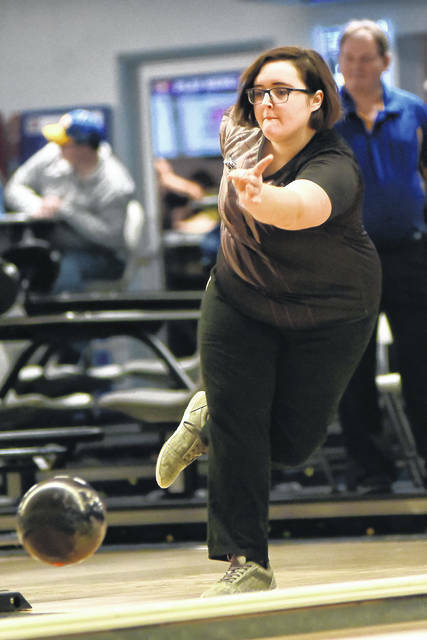 Mississinawa Valley’s Sherry Bergman competes in a match against Russia on Saturday at Woodcrest Lanes in Union City. 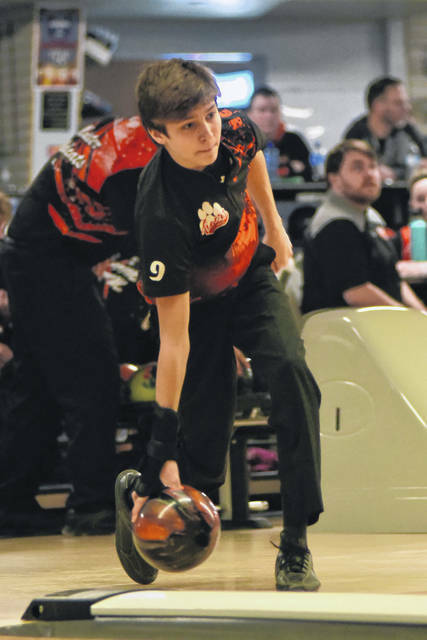 Versailles’ Adam Cordonnier competes in a match against Fort Loramie on Saturday at Woodcrest Lanes in Union City. 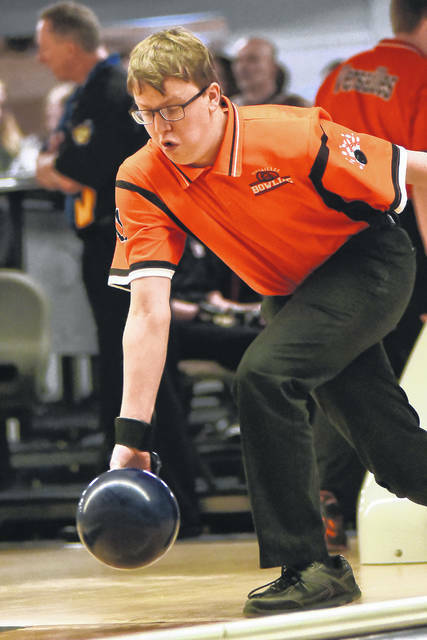 Versailles’ Andrew Cotner competes in a match against Fort Loramie on Saturday at Woodcrest Lanes in Union City. 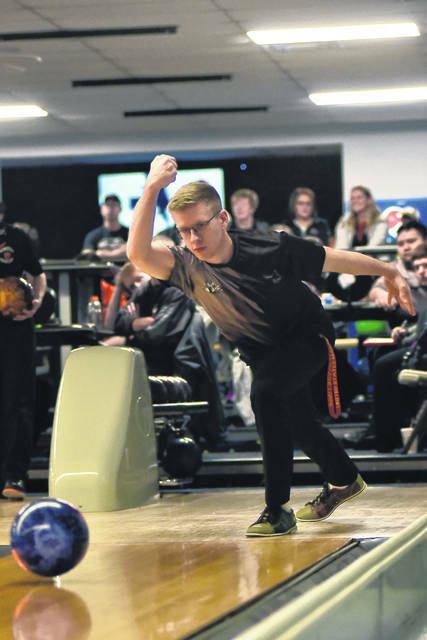 Versailles’ Justin Heitkamp competes in a match against Fort Loramie on Saturday at Woodcrest Lanes in Union City. 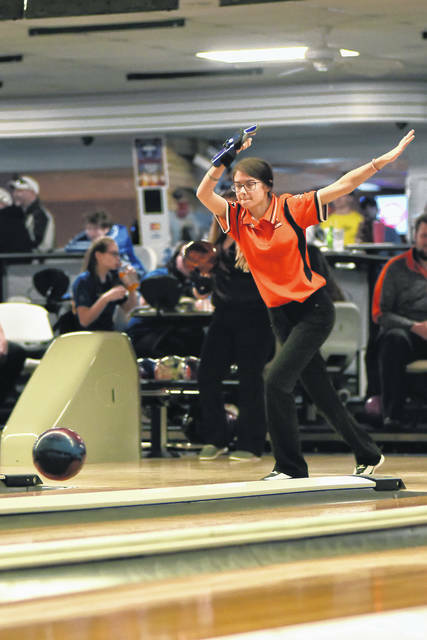 Versailles’ Lindsay Cotner competes in a match against Fort Loramie on Saturday at Woodcrest Lanes in Union City. 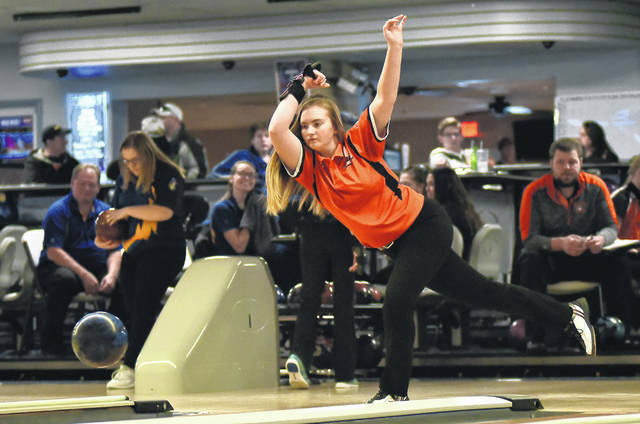 Versailles’ Madelynn Stewart competes in a match against Fort Loramie on Saturday at Woodcrest Lanes in Union City. 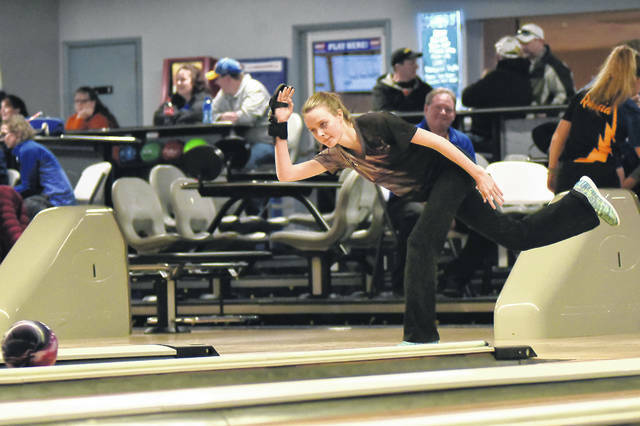 Versailles’ Mallory York competes in a match against Fort Loramie on Saturday at Woodcrest Lanes in Union City. 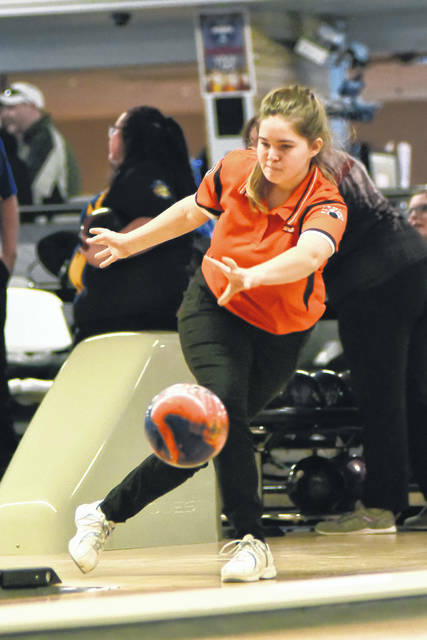 Versailles’ Morgan Rinderle competes in a match against Fort Loramie on Saturday at Woodcrest Lanes in Union City. 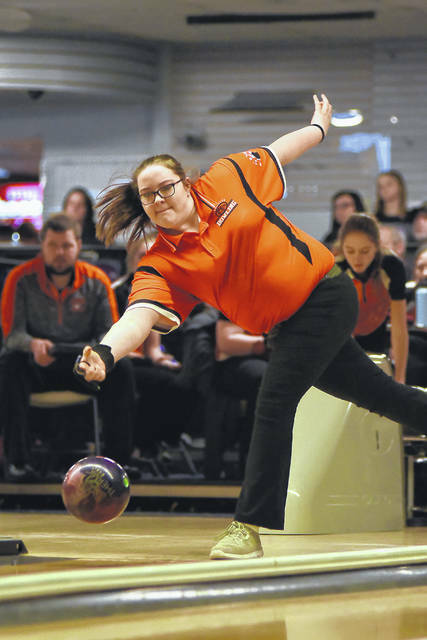 Versailles’ Payton Bulcher competes in a match against Fort Loramie on Saturday at Woodcrest Lanes in Union City. 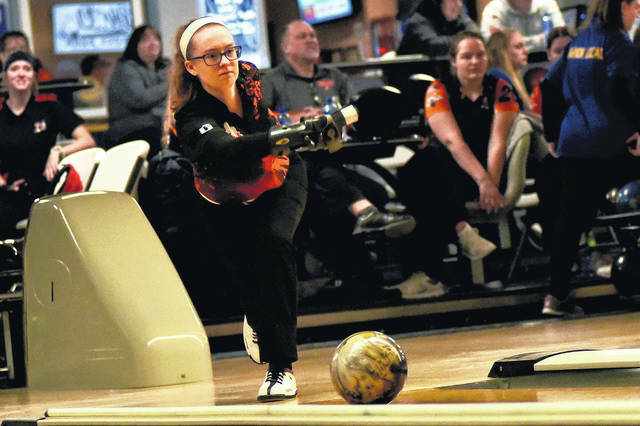 UNION CITY – Mississinawa Valley hosted a great West Ohio High School Bowling Conference match on Saturday at Woodcrest Lanes. 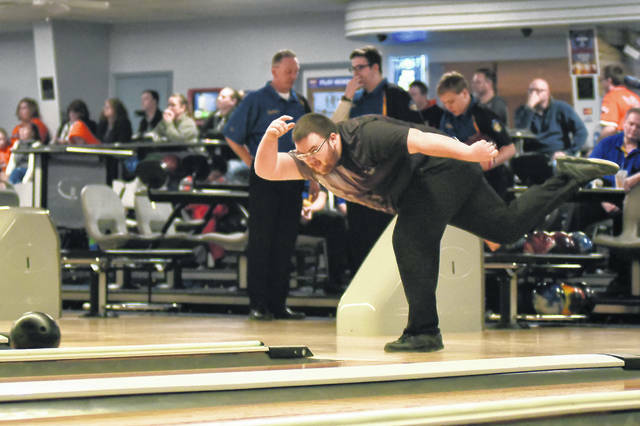 The Mississinawa Valley boys bowling team got a win over Russia with 2636 pins to 2276. The Hawks were all closely aligned in their scoring with Zac Longfellow leading the way with 369, Colton Hardwick 368, Cameron Shimp 363, Mason Hardwick 347 and Roman Dircksen a 330. Shimp rolled the high game of the day for Mississinawa with a 220. The Hawks improved to 6-6 overall and 3-6 in the conference. The Mississinawa Valley girls bowling team fell to Russia by the score of 2234 to 1972. Lakiesha Wade led the Hawks with 335 pins and a high game of 169. Bailey Emrick rolled 267, December Wright had 243, Natalie Bergman 226 and Karista Davidson a 225. The Lady Hawks fall to 1-7 overall and 1-6 in the West Ohio High School Bowling Conference. The Versailles boys bowling team defeated Fort Loramie in a close contest 2608 to 2532. Landon Henry led the Tigers with a 389, Jay Mumaw had 336, Matthew Francis 328. The high game of the day was thrown by Justin Heitkamp with a 213. Tyler Gehret had one game of 157, Derek Morris a 146 and Jordan Cordonnier a 133. “Justin stepped up big today for the team,” Versailles coach Tyleer Phlipot said. “He has been working on improving the past three weeks and it showed what he is capable of doing. The Tigers improved to 9-4 overall and 7-2 in conference two games behind the leader Coldwater at 9-0 and one behind New Bremen at 8-1. The Tigers will have a chance to catch New Bremen with a match-up at McBo’s Lane on Feb. 2. The Versailles girls team dominated Fort Loramie 2453 pins to 1458. The Tigers were led by Morgan Heitkamp 376, Haddi Treon 346, Jena Mangen 325 and Morgan Barlage 320. Lindsay Cheadle rolled a single game of 138 and Kalysta Thobe a 129. The Tigers improved to 9-4 overall and 6-1 in the conference one game behind undefeated Coldwater at 7-0. The Ansonia boys bowling team fell to Minster 2316 to 2118. Tyler Sink led the way for the Tigers with a 360 and a high game of 181. Dalton Drees had a 299, Tyler Dishman a 282. Rolling single games were Mackenzie Singers with a 150, Aiden Brown a 146 and Brandon Heck 117. Ansonia falls to 1-8 overall and 1-8 in the conference.